Home Tags Posts tagged with "computer hacker"
A computer hacker has stolen personal emails and photographs belonging to former US President George H.W. Bush and his family, according to US media. A spokesman for George H.W. Bush confirmed that an investigation was underway. “We do not comment on matters under criminal investigation,” Jim McGrath told the Houston Chronicle. George H.W. Bush was discharged from hospital on January 14 after a seven-week stay, during which he was treated for a bronchitis-related cough. The purloined photos include pictures of his son, former President George W. Bush. 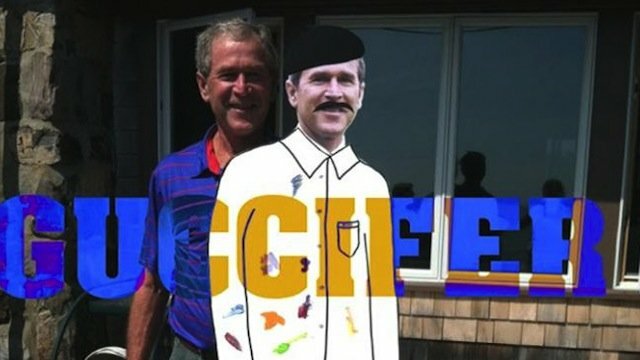 One shows the younger George Bush posing beside a life-size cardboard cut-out of himself with a moustache drawn on it; others are said to show paintings by him, including self-portraits. The Smoking Gun said it had been in contact with the hacker, who goes by the alias “Guccifer”. He said he taken “a lot of stuff” including “interesting mails” about the former president’s time in hospital, the website reported. George H.W. Bush was the 41st US President, serving one term from 1989-1993. He was defeated by Democrat Bill Clinton when he stood for re-election. Before becoming president he was Ronald Reagan’s vice-president from 1981-1989. He also served as vice-president, CIA director, US ambassador to China and congressman from Texas. His son George W. Bush served as 43rd president in 2001-2009.